Unlike a machine, life does not always operate in an orderly, regular, and predictable way. But your marketing can. Marketing needs to develop people, processes, and technology so that the company can rely on its impact. By using metrics to link marketing actions to financial outcomes and growth over time, marketing can be accountable and predictable with low risk and, more importantly, high value. The marketing planning process must link directly to corporate success; that is, revenue and profit. It must tie the corporate vision to the strategic plan, to the annual plan, to a rolling planning process updated on a daily, weekly, or monthly basis. There must be a seamless integration between these planning benchmarks for the marketer to make critical day-to-day, week-to-week, and month-to-month adjustments to achieve the numbers. A marketing machine makes this connection, so that marketing investments can be made with predictable results. 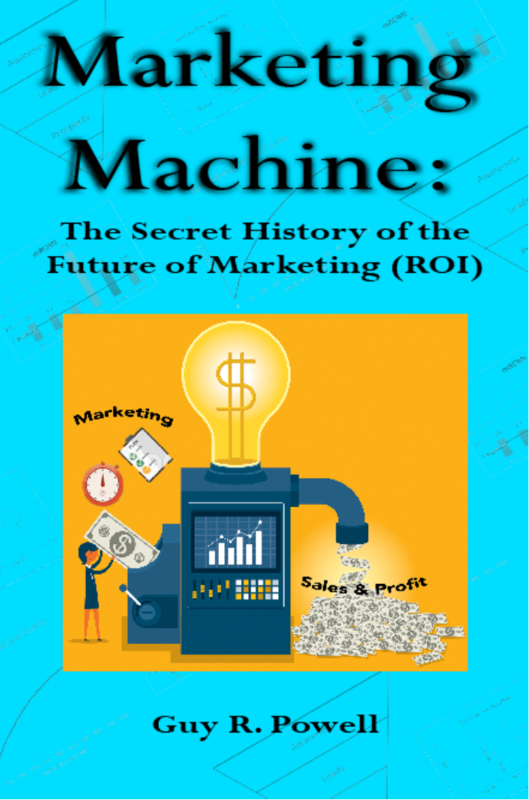 For more insights on how to build your own marketing machine, check out the upcoming book, Marketing Machine: The Secret History of the Future of Marketing (ROI), by Guy R. Powell, president and founder of ProRelevant. This book, the third authored by Guy R. Powell, provides clear, concise methodology for the systematic application of marketing data collection and marketing analytics that transform marketing from a hit-or-miss revenue generator to a smooth, purring marketing machine. Leave us your email address today and we’ll let you know when pre-orders are open!